As Hurricane Gustav builds up speed and power in the Gulf of Mexico, oil companies are busy evacuating employees from rigs and production platforms. So far 6 production platforms and 17 rigs have been evacuated. Gustav, now a Category One, is expected to become Category Three as it moves over the warmer waters of the gulf. 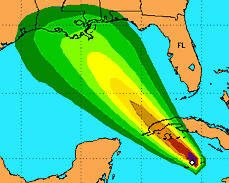 It will hit the land, perhaps even another direct-hit on the city of New Orleans, on Tuesday. But in its way are rigs, platforms and refineries that help fuel our oil-obsessed nation. Hurricanes Katrina and Rita wiped about 100 rigs when they hit the oil industry. And more refineries were damaged and closed leading to reduced supply and higher prices for gasoline. As gas and oil supplies are again disrupted by weather during this busy storm season, American motorists may again feel even more pain at the pump. Besides our own domestic production, adverse weather limits shipping, driving up the costs of oil and many other products. Moving towards a broader energy source which includes renewable fuels only makes sense. Why should we put all of our eggs (and money, and national security) in one basket beholden to unpredictable weather and foreign leaders? 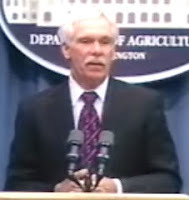 The USDA secretary, Ed Schafer, responded to the recent decision by the EPA to deny Texas' request for a waiver from the Renewable Fuel Standard (RFS). "Renewable energy is a tremendous American success story. We are the world leader in biofuels. Since 2000, U.S. ethanol production has quadrupled. Biodiesel production soared from two million gallons to 450 million last year. Cellulosic ethanol, which will derive fuel from non-food feedstocks, is moving into production. Last year biofuels trimmed U.S. greenhouse-gas emissions by more than 13 million tons and are already reducing U.S. gasoline prices by 20 cents to 35 cents per gallon. In fact, in 2007, consumers in Texas saved between $2.5 billion and $4.5 billion at the pump thanks to ethanol. Next generation technologies hold even greater potential to expand these multiple benefits to our country. Yes, there are ripple effects, but the sharp rise in global grain prices in recent years is driven primarily by soaring energy costs, improved diets in rapidly developing nations, two years of bad weather in some countries, and new export restrictions in several nations. U.S. biofuels production contributed only an estimated 0.2%-0.6% to the 5.1% rise in U.S. consumer food costs. 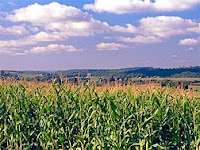 Biofuels are just part of the story, and we are rising to the challenge." Since the EPA announced its decision, harvest reports predict a record crop and corn price have fallen from highs pushed up earlier in the year by speculation. 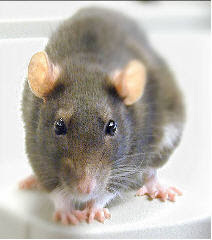 Seems the lowly rat may be a blessing and a curse to world food supplies. We don't have to choose between them, we can have both! Several news stories caught our attention this past week over the world food "crisis" that was widely hyped earlier this year. The world food production, supply and demand is a complex issue. Poverty, transportation, wars and political instability are the major factors for food shortages around the world. And with pests eating major portions of a nation's food supply, it's hard to imagine how critics continue to argue that productivity of the American farmer to produce more food causes world starvation. So all we can really say is "Let them Eat Rats!". In experiments conducted by the USDA's Agricultural Research Service (ARS), sweet potatoes grown in Maryland and Alabama yielded two to three times as much carbohydrate for fuel ethanol production as field corn grown in those states. The sweet potato carbohydrate yields approached the lower limits of those produced by sugarcane, the highest-yielding ethanol crop. 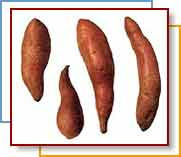 For the sweet potatoes, carbohydrate production was 4,692 tons an acre in Alabama and 6,353 tons an acre in Maryland. The disadvantages to sweet potato are higher start-up costs, particularly because of increased labor at planting and harvesting times. Further studies are needed to get data on inputs of fertilizer, water, pesticides and estimates of energy efficiency. Overall, the data indicate it would be worthwhile to start pilot programs to study growing cassava and sweet potato for ethanol, especially on marginal lands. 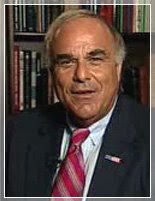 Pennsylvania Governor Edward G. Rendell said the state's agricultural industry is struggling with high fuel costs, underscoring the need to secure the state's energy independence. Nearly 900 guests gathered to hear the Governor's message at the Government & Industry Day Luncheon at Ag Progress Days, Pennsylvania's largest outdoor agricultural exposition. "As the state's largest industry, agriculture contributes greatly to Pennsylvania's economic success and way of life," said Governor Rendell. "I applaud the continued role our agricultural industry is playing in helping to secure our state's energy independence through encouraging homegrown technology to take root." 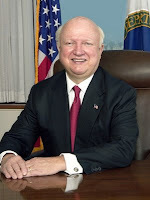 In July, the Governor signed H.B. 1202 and Special Session S.B. 22 into law to replace 1 billion gallons of transportation fuel used in Pennsylvania with domestically produced renewable fuels. The laws will help spur the development of homegrown biofuels in Pennsylvania and reduce the state's dependence on foreign fuels by establishing new requirements that every gallon of gasoline and diesel fuel contain a percentage of cellulosic ethanol and biodiesel. "With high fuel costs, farmers are adjusting, compromising and changing to keep their operations afloat," said Governor Rendell. 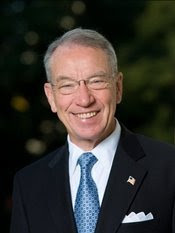 US Senator Chuck Grassley (IA) sent a letter (pdf) this week to United States Trade Representative Susan Schwab to reassure her that the ethanol import tariff is explicitly permitted under World Trade Organization rules. “Besides the fact that the ethanol tariff is perfectly in line with WTO obligations, it is also in line with our domestic energy policy which focuses on using homegrown ethanol to help rural communities across the country rather than sending more dollars to the Middle East or Brazil,” Grassley said. The letter was in response to questions raised by Senator Dianne Feinstein to Schwab about whether the import tariff violates the rules of the World Trade Organization. Brazil has the opportunity to ship ethanol to the United States duty-free through the Caribbean Basin Initiative. Up to 7 percent of the United States ethanol market can enter duty-free, however this cap has not once been filled since it first became available in 1990. But most importantly, the tarrif remains in place to offset the blenders credit for ethanol. Just why would we want to subsidize Brazil's ethanol industry? U.S. Senators Ben Nelson (NE) and Tom Harkin (IA) brought the Senate Agriculture Committee to the University of Nebraska, Omaha to get to the heart of the food vs. fuel debate this week. The hearing titled, "Food, Feed, and Fuel Production: Today and Tomorrow" was hosted by the university and included experts in agriculture, agricultural economics, food production, livestock production and renewable energy. Witnesses at the hearing came from both sides of the ethanol debate, including poultry and livestock producers who argued that ethanol production was driving up their feed costs. "The focus here should be on the big picture: ethanol is the only domestically-produced alternative to oil-based transportation fuels. It is helping us in a big way to stretch the gasoline supply, save American consumers money at the pump, create jobs in rural communities, improve our rural and national economy—and to top it off—help wean us off imported oil. "Ethanol is a major contributor to the U.S. gasoline supply. One study says it's the third largest, behind only Canada and Saudi Arabia, and ahead of Iraq and other OPEC countries. Today’s corn-based ethanol is paving the way for the next generation of biofuels produced from such materials as switchgrass and stover. 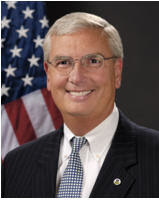 Tim Recker, president of the Iowa Corn Growers Association, testified (pdf) on behalf of his organization as well as the National Corn Growers Association, the Nebraska Corn Growers Association and the Nebraska Corn Board. Other witnesses included Dr. Bruce Babcock, Director, Center for Agriculture and Rural Development, Iowa State University; Dean Oestreich, Chairman of Pioneer Hi-Bred and Vice-President DuPont Agriculture and Nutrition; Dr. Thomas Foust, Biofuels Technology Manager with the National Renewable Energy Laboratory; and Jeff Lautt, Executive Vice President of Corporate Relations with POET. Sorghum's potential as a biofuel crop will be explored at the International Workshop on Sorghum for Biofuels which begins today in Houston, Texas. More than 100 international experts from government, academia, the private sector and the agricultural community are expected to participate in the conference. U.S. co-sponsors of the event include the U.S. Department of Agriculture (USDA), Texas A&M University, and the National Sorghum Producers. Other co-sponsors include Brazil’s Empresa Brasileira de Pesquisa Agropecuaria, the International Crops Research Institute for the Semi-Arid Tropics, and Tsinghua University, which is located in the Peoples’ Republic of China. Sorghum is attracting greater interest as a bioenergy crop because it is tolerant of drought and grows well on marginal lands not suitable for most other crops. It produces high yields even after an abbreviated production cycle, and requires minimal amounts of fertilizer and irrigation. POET announced last week that its cellulosic ethanol pilot facility will be operational this year. We previously wrote about the effort to harvest corn cobs for ethanol during last year's corn harvest. At the American Coalition for Ethanol conference, POET announced that construction will be completed on a $4 million pilot-scale cellulosic ethanol production facility later this year. The pilot plant will be adjacent to POET’s corn ethanol pilot facility and a nine million gallon per year ethanol production facility in Scotland, S.D. It will allow POET to build upon recent technology advances before starting construction on Project LIBERTY, their commercial cellulosic production facility, next year. "Our expanded research effort has led to several significant strides in the development of cellulosic ethanol technology at the lab scale in recent months," said Jeff Broin, CEO of POET. "Construction of this pilot facility will allow our company to take the next step toward the commercialization of cellulosic ethanol." During the 2007 harvest, POET worked with major agricultural equipment manufacturers to harvest 4,000 acres of corn grain and cobs from a farmer’s field in Southeastern South Dakota. Cobs from this fall’s harvest and last will serve as the feedstock for the cellulosic pilot plant, along with corn fiber extracted from the adjacent corn ethanol production facility. POET has been working on cellulosic ethanol technology for more than eight years and has significantly expanded their research and development efforts. The company recently completed an expansion of their research lab in Sioux Falls, S.D. that tripled its size. Additional information on POET's ethanol efforts can be found on its blog, RhapsodyinGreen. The production of ethanol from corn has had minimal impact on consumer food prices while reducing fuel costs to consumers across the country, according to a new study released earlier this month. U.S. Senator E. Benjamin Nelson (NE), Chairman of the Ethanol Across America education campaign, hailed a new Issue Brief on The Impact of Ethanol Production on Food, Feed, and Fuel (pdf) as a calm voice in a debate that has become confused due to misinformation. "America's farmers are the most efficient and productive in the world," said Senator Nelson. "While there is new demand for corn and other agricultural products resulting from our effort to produce biofuels, we are seeing increased yields and a likely leveling of prices. We are also working hard to diversify our biofuel production by utilizing new feedstocks that range from specialty energy crops to waste materials." America needs to continue to invest in biofuels to produce our own energy, improve the environment and create jobs and domestic economic prosperity. So despite the rhetoric that we all read everyday, we know that shipping our money off to foreign lands to continue dependence is really the poor option. What's most interesting in yesterday's crop production report is what it doesn't say. There's no mention that ethanol demand will cause less wheat to be grown, less bread to go to the hungry, less barley for beer, and less soybeans for soy products. That's because it's based on facts---not fears, lies and mistruths. It looks like bumper crops all the way around. Corn will have the second-highest production with 12.3 billion bushels. Barley - Barley production at 217.9 million bushels, up from 211.8 million in 2007. Wheat - All wheat production, at 2.46 billion bushels, up 19 percent from 2007. Of course, reality has little to do with Big Food's broken campaign against biofuels. Citing unsupported factoids all year long, the Big Food leaders have purposely sowed the seeds of doubt and mistrust over food production. Most of it just outright wrong - even with last year's crop reality. Quite literally, facts don't seem to matter. The GMA leaders have willfully employed a "scorched earth" policy--- Use anything to advance their mission to destroy biofuels and advance profits. Fortunately, those with cooler and wiser heads have seen through this rhetoric and continued the course. Campbell Soup is Hmm, Hmm, Wrong! Despite June’s severe flooding in the Midwest, U.S. farmers are on pace to produce the second largest corn crop, according to the Crop Production report released today by the U.S. Department of Agriculture’s National Agricultural Statistics Service (NASS). Corn production is forecast at 12.3 billion bushels, down 6 percent from last year’s record, but up 17 percent from 2006. Based on conditions as of August 1, corn yields are expected to average 155 bushels per acre, up 3.9 bushels from last year. If realized, this would be the second highest corn yield on record, behind 2004. 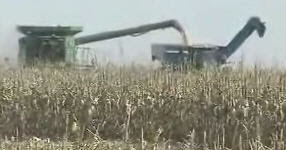 Growers are expected to harvest 79.3 million acres of corn for grain, down 8 percent from last year. This latest forecast from the USDA is a good sign that America's corn crop is resilient and that the market forces are working. Critics have continued to promote a doomsday message of fear. It's a good thing American farmers don't listen to them. Or we'd all have a lot less food to eat. 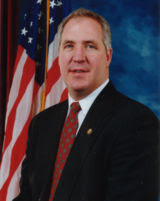 Indiana Lt. 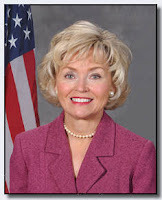 Governor Becky Skillman last week presented the Paul Dana Leadership in Biofuels Award to all of Indiana's corn and soybean farmers for their help in making the state a national leader in the biofuels industry. The Paul Dana Leadership in Biofuels Award honors the memory of Indy Racing League (IRL) driver Paul Dana, a strong supporter of Indiana's growing biofuels industry who was killed in a racing accident in 2006. Dana was an advocate of biofuels and each year an individual or group is recognized in his honor for their work in the biofuels industry. "Paul Dana was a hero to so many, as an IRL driver, a personality and an advocate for biofuels. He made a difference and was an inspiration," said Lt. Governor Skillman. "In a very short time Indiana has become a national leader in the biofuels industry. Today we recognize the state's corn and soybean farmers who have helped Indiana achieve such success." The Indiana Soybean Alliance and Indiana Corn accepted the 2008 Paul Dana Leadership in Biofuels Award on behalf of Indiana's corn and soybean farmers. During the last two years, the Indiana Soybean Alliance and Indiana Corn have invested more than $8 million in research, promotion and biofuels development. "Indiana's corn and soybean famers have been valuable partners as we continue to expand our biofuels industry," said Lt. Governor Skillman. "We are committed to the production and use of biofuels because they burn cleaner, reduce the state’s dependence on foreign sources of energy and increase the economic opportunities for Hoosiers. Since January 2005, Indiana has gone from one ethanol plant to seven operational ethanol plants and nearly a dozen proposed or under construction. The combined production of the plants currently operating and those under construction will exceed 1.1 billion gallons of ethanol annually and will use approximately 425 million bushels of corn. The state has also gone from zero to more than 100 public E85 pumps, making it third in the nation in public availability of E85. Having lost their latest round to thwart energy security, Big Food and Big Meat are rallying for their next attempt at rolling back biofuel advances. Over the past year, they've lost political and economic arguments with the signing of the historic energy bill and a dramatic defeat in their attempt to foist a waiver of the Renewable Fuels Standard. Many supporters of the waiver request also note the environmental damage caused by food-to-fuel mandates. “It is unfortunate but unsurprising that EPA has once again ignored a stark environmental reality,” said Lester Brown, president of the Earth Policy Institute. Perpetual critics of American production agriculture must be giddy with delight. Why spend all of the effort when you can let the big food corporations rip American agriculture apart? By partnering with extreme environmentalists and perpetual food production critics, Big Food and Big Meat have chosen poor bedfellows. Damning agriculture damns everyone in the system. If that corn, or soybean, or wheat, or pork, or beef, is damaging the environment, then every cookie, loaf of bread, pork chop and beef steak is guilty as well. "Ethanol production is bad, but my cornbread and beef are good". Big Food and Big Meat can't have it both ways. Their continued scorched-earth policy tactics of targeting biofuels will have a lasting, damaging effect upon all of agriculture. And less food production means less food for everyone. This week's announcement by the EPA rejecting Texas Governor Rick Perry's request to waive the ethanol requirements for our nation's fuel supply was widely supported by our nation's leaders and policymakers. “Clean, green, domestic, sustainable biofuels that reduce greenhouse gas emissions and increase our energy security are a crucial part of America’s energy policy. Advanced biofuels are just one part of a diverse portfolio of renewable energy and efficiency technologies that the Department of Energy is pursuing." “Last year, the President proposed and Congress passed the most aggressive alternative fuel and vehicle efficiency standards ever considered. Biofuels presently blended into our fuel supply are one of the only forces applying downward pressure on the price of gasoline. In June, DOE announced an estimate that gasoline prices would be between 20 cents to 35 cents per gallon higher without ethanol, a first-generation biofuel. Also, without biofuels, DOE estimates that the U.S. would have to use 7.2 billion more gallons of gasoline in 2008 in order to maintain current levels of travel, a 5 percent increase." The National Corn Growers Association was quick to thank the EPA for its recent decision to deny Texas' request for a waiver from the Renewable Fuel Standard. Rick Tolman, CEO of the organization, was interviewed on FoxBusiness yesterday about the EPA's decision and its impact on consumers, buinesses and corn growers. We had to laugh a bit when the interviewer seemed to know very little about ethanol. The only time she had seen a station was when she was in FRANCE! She really should get out of the Big Apple and visit the rest of America. Ethanol is blended into gasoline across the country as E10 (an oxygenate replacing the poisonous MTBE) and now at over 1,600 fueling stations as E85. E10 is 10% blend of ethanol with 90% ethanol suitable for all vehicles and E85 is a blend of 85% ethanol and 15% gasoline available for newer Flexible Fuel Vehicles (FFVs). We also have a complete list of E85 Fueling Sites here at FoodandFuel America.com which offer E85 locations, including for both web and mobile devices. The US Environmental Protection Agency (EPA) today rejected the state of Texas' request for a waiver from the Renewable Fuel Standard (RFS). EPA Administrator Stephen Johnson made the announcement at a press conference in the nation's capitol. The decision comes as a major blow to opponents of renewable fuels and to Texas Governor Rick Perry who had made the request. In addition, big food companies and leaders, like Lonnie "Bo" Pilgrim, had made sizable donations to fight renewable fuels and rollback the RFS. The Grocery Manufacturers Association and others reportedly spent millions of dollars to launch smear campaigns against the American-grown, renewable fuel. However, support for the RFS and renewable fuels remain strong in Congress and across America. Senator Charles Grassley revealed the extent of the "smear campaign" against ethanol launched by Big Food companies. And many other governors came out in favor of renewable energy and the RFS. The agency delayed its decision late last month in order to finish going through 15,000 comments it received. But after careful consideration, the agency decided that the facts did not warrant such an extreme action as sought by Perry. It's still a chicken or egg issue when it comes to changing how we fuel our vehicles. We need more renewable fuels like ethanol and biodiesel. And the energy bill signed last year helped to set us on the path of cleaner burning, renewable fuels made here in the USA. But we also need more Flexible Fuel Vehicles (FFVs). And even more importantly, we need more fueling stations that offer more of both fuels. Late last week Rep. Herseth Sandlin (SD) and Rep. John Shimkus (IL) introduced bipartisan legislation that increases the availability of homegrown, renewable biofuels like E85 and biodiesel at gas stations across the country. The E85 and Biodiesel Access Act (H.R. 6734) streamlines the process and provides greater incentives for service station owners to install equipment to dispense E85 and biodiesel – and in doing so, it increases consumer access to these homegrown biofuels and enhances the United States’ energy security. Who'd a thunk that Paris Hilton might have a better energy plan than Senators Obama or McCain? So what's Paris's energy policy for America? Limited off-shore drilling with strict environmental oversight while creating tax incentives to get Detroit to make hybrid and electric cars. Could it really be "Paris in '08"? Chuck Norris: Congress Get Off Your Gas and Drill!